According to new research by the Australian Bureau of Statistics, the highest-ever proportion of Australians  one in three  now work from home (WFH), at least some of the time. AAMI has been using at-home call centre agents for some time now and it’s had the thumbs up from employees. There are a couple of call centre outsourcers with their primary workforce ‘at-home’ and from all reports, it’s been working well for them. I mean what’s not to like right? There was an article in www.smh.com.au last week reporting that Stamford University conducted a study in a Chinese call centre with 16,000 seats into the benefits of working from home. 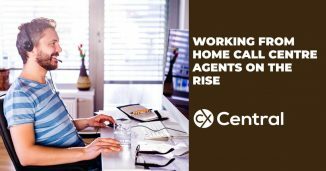 The key takeaway from the study – home agents were 13% more productive. Home working led to a 13% performance increase, of which about 9% was from working more minutes per shift (fewer breaks and sick-days) and 4% from more calls per minute (attributed to a quieter working environment). Improved work satisfaction and less turnover, but their promotion rate conditional on performance fell. Due to the success of the experiment, they rolled-out the option to WFH to the whole firm and allowed the experimental employees to re-select between the home or office. Interestingly, over half of them switched, which led to the gains from WFH almost doubling to 22%. This highlights the benefits of learning and selection effects when adopting modern management practices like WFH. So is it easy for call centre agents to work from home? Well, one thing is for sure, it’s a lot easier than its ever been thanks to advances in technology such as a Hosted PBX. But like most things in life, it’s not for everyone. Many people are attracted to the concept, but the reality of working on your own all day and isolated from a supportive team environment can sometimes lead to attrition. Of course, many people also love it! 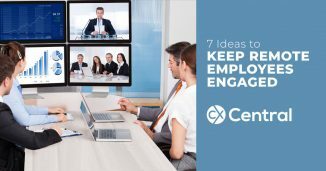 Make sure you adequately screen for someone’s propensity to work in isolation from a team setting and read our article on how to keep remote employees engaged. 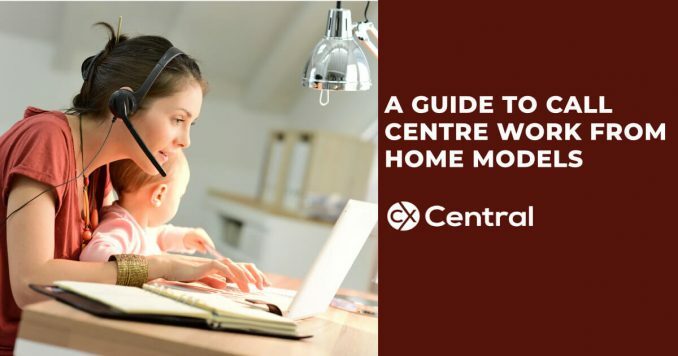 To help you consider if the call centre work from home model is right for your business I’ve listed some key considerations below. Despite how much we would like customers to coordinate amongst themselves to ring a call centre in a nice orderly manner one after another, the reality is they don’t! Call centres typically experience very well defined peaks so it makes sense to have the most staff on at this time. This limits a lot of the flexibility aspects, e.g. logging in and out when it suites when you are working from home for a call centre. Call centres still need defined shifts filled – if that happens to work for you (and the business) then you might be on a winner. You need to have a safe working environment. You may need to provide this at your expense, with some organisations covering all or some of the costs. A proper desk, chair, the right cabling etc are all mandatory items. Noise can also be a big issue – a barking dog, screaming kids etc can all be a big no-no that for many companies, are a deal breaker. These days it requires nothing more than a good internet connection and an IP Phone. Unfortunately, that rules out about 30% of the population until about 2020 when we will receive a sub-standard and already outdated NBN network (yes someone is a bit grumpy about the billions of dollars wasted on the NBN). Thankfully though, as long as you have a broadband connection you should be pretty right. A computer and IP Headset is also required. Again, these may need to be supplied by you or you may receive them from your company. With a good Knowledge Management System, you can stay across what’s happening easily and providing amazing service to your customers. Coaching with your Team Leader can be done over the phone using whisper technology and you can still transfer calls etc like you would sitting in the office. This is one of the tough ones, working on your own can be pretty lonely. Its common for work from home agents to still be required to spend either part of the week/month in the office just to maintain a sense of belonging. Whilst the study suggest a 13% to 22% improvement, closer to home there doesn’t appear to be a lot of data to support the productivity benefits. Perhaps some of the call centres out there that are already doing it might like to share some results? Antidotally, the evidence would suggest that people love working from home at least some of the time. Some call centres use the privilege to work from home as part of their Reward and Recognition program, a reward given to their top performers. Seems like a good incentive to me. Find suppliers of work from home technology and services in our Business Directory or use our free CX Connect Service and we’ll provide you with shortlist of recommended suppliers. I'm the founder of CX Group Australia - helping businesses and customer experience professionals to source, deliver and optimise customer experience solutions to drive business outcomes. When I'm not working, I enjoy pretending that 40 something isn't that old and it's still not too late for a professional sporting career. 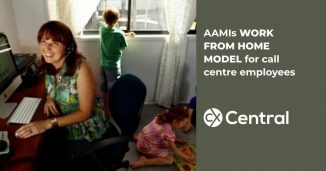 Australia is finally catching up with overseas trends with AAMI’s work from home call centre model getting the thumbs up from employees. A new survey released by SMAART recruitment has revealed more Australian call centre agents are working from home than ever before as contact centre technology improves to the point its a replica of working in a traditional call centre with all the comforts of home and no commuting time. With the increasing availability of work from home call centre jobs we reveal some simple tips on how to keep remote employees engaged so you can retain the valuable experience within your business when your call centre agents work from home.